· Arrange to have your mail forwarded to your new address. · Forward or cease all deliveries to your home, and forward or cancel newspaper and magazine subscriptions. · Disconnect or take care of utility, cable and phone services and accounts. · Arrange for utilities to be connected at your new house. · Cancel pre-authorized bill payments. · Begin going through closets and discarding any unnecessary items. · Plan your packing. Start by purchasing or acquiring suitable containers. Most moving companies have specialized containers you can buy. Also, speak with others who have recently moved—they may be looking to get rid of boxes. You’ll need the following: small boxes for heavy items (books, tools, etc. ); large boxes for bulky items (bedding, stuffed toys, etc. ); medium boxes for bulky but less heavy items (towels, small appliances, etc.). · Set goals and deadlines for yourself. Aim, for example, to pack one room per week. · Attach a list of contents to each box. Separate and label boxes to be placed in storage. · Consider holding a garage sale to rid yourself of excess belongings. · Begin to use up the food in your pantry and freezer. Let the food you already have dictate your menus. · Have rugs cleaned that are to be moved, then roll and wrap them. · Make special arrangements for the moving of plants or pets. · Collect all personal items from local services (dry cleaning, storage, photos). · Service all appliances you are taking with you. Note that all gas appliances must be emptied, as it is illegal for movers to carry flammable substances. · Take inventory of all the boxes, and contents of the boxes, you have packed. · Have your car serviced and tuned up. · Clean out your locker at any club you are leaving. · Determine how to transfer your children to a new school. · Return items you’ve borrowed to friends, and collect any you’ve lent. · Mail or e-mail change of address notices to family members, friends, and office contacts. · If needed, transfer medical and dental records, and fill prescriptions. · Change the address on your driver’s license. · Change the billing address for credit cards. · Change the address for banking statements. · Leave a record of security codes for new tenants. · Visit your lawyer and ensure all documents are signed. 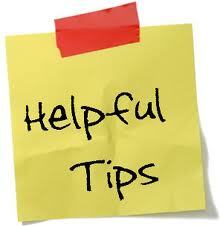 · Notify your insurance company well in advance of the move and ask them to review your policy. · Transfer insurance to your new home, or acquire new insurance. · Review your moving company’s insurance policy. If it doesn’t cover as much as you’d like it to, obtain your own. · If you are currently renting a house or apartment, give written notice to the landlord. · Have all keys to your old home delivered to your lawyer or realtor.